Mountaineer Week is one of my favorite times of the year. 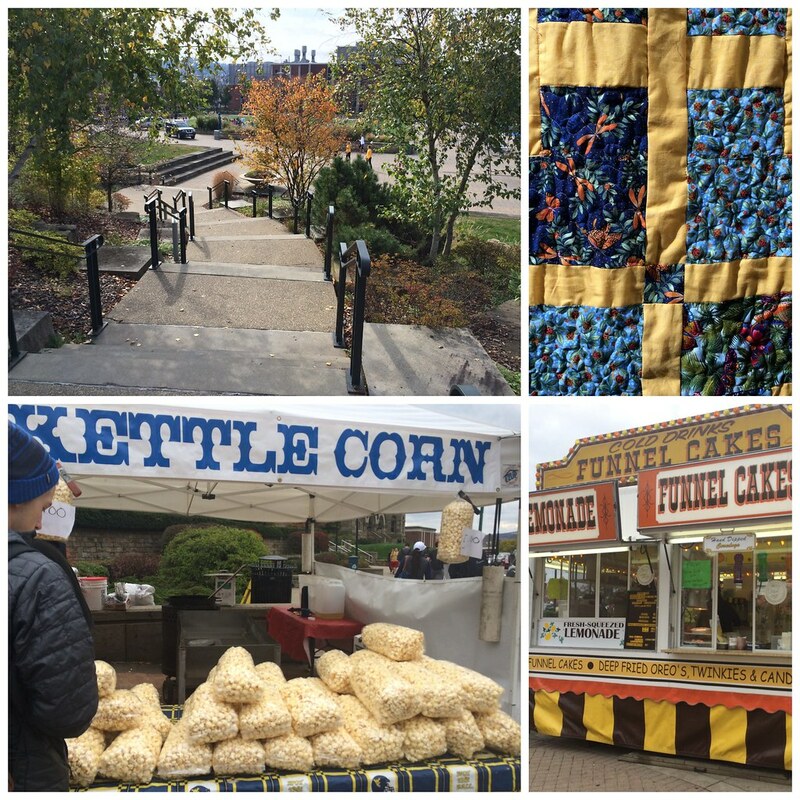 There's all kinds of people in and around the Mountainlair, a giant craft fair and activities celebrating our Appalachian heritage. Did I mention food? Mmm kettle corn, Bavarian nuts, deep-fried Oreos, funnel cake... OK, I have no idea how this is related to Appalachian food, but it's delicious. And it's all over the place during this weeklong event. 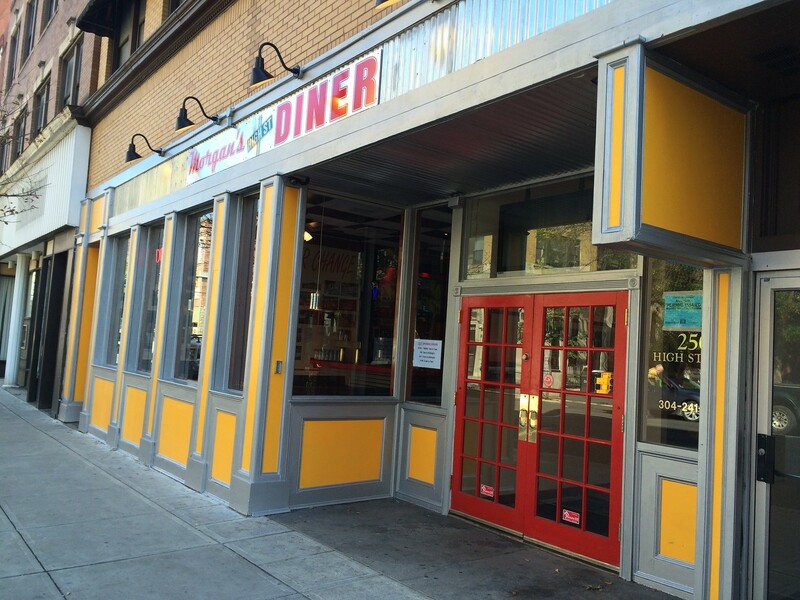 While Morgantown restaurants offer just about any meal you can think of (for the most part), a few of them are fit for the hungriest of the hungry. Food challenges. Eating Contests. How many hotdogs can you eat? Finish this 10 lb. burger in less than 20 minutes. Consumer this really spicy chili. You know, those contests that have been popular at fairs and festivals for ages and have transcended popular culture with the TV show Man Vs. Food. Morgantown has a handful that I've listed below. Please let me know of others so I can add them to the list! Morgan’s High Street Diner: Morgan’s Challenge - 15 scoops of chocolate, vanilla or strawberry ice cream topped with chocolate, caramel and strawberry syrup, whipped cream, fruits and cherries. For $16.50. You finish in 15 minutes, you get to keep the bowl, and it’s free. Peppebroni’s: Coliseum Calzone Challenge - An 18" diameter calzone stuffed with meats, cheese and vegetables that comes in at a whopping 10 lbs. You and a friend must finish in 90 minutes to less to get the meal for free, t-shirts and a picture on the Wall of Fame. Otherwise, pay up $60. Two individuals and their families made the two-hour trip from Maryland just to try it. They swallowed the last bite as the clock expired, rendering them the first and only people to complete the challenge. Schmitt’s Saloon: Wing Challenge - Three (really really hot) wings and sit on the barstool, without standing up, eating or drinking anything for five minutes. If you complete it, you get an autographed picture and a place on the Schmitt Wall of Flame. More here. 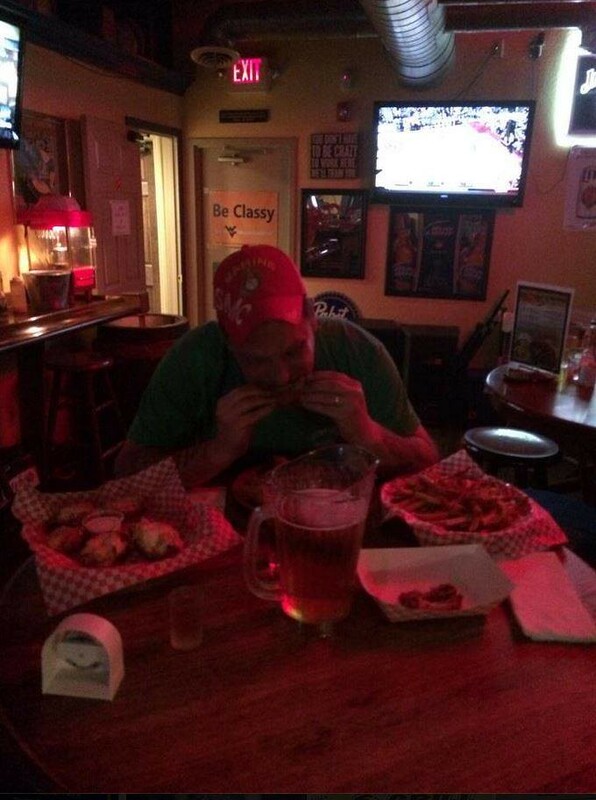 Tanners Tavern: for $30 - must eat all of 24 wings (8 each of 3 flavors: a hot one, a regular, and a dry rub), order of bacon cheese fries, order of BBQ pulled pork potato skins (6), pitcher of beer and have to finish w/ a shot of Fireball, all in 45 minutes or less, and no puking for 15 minutes after. 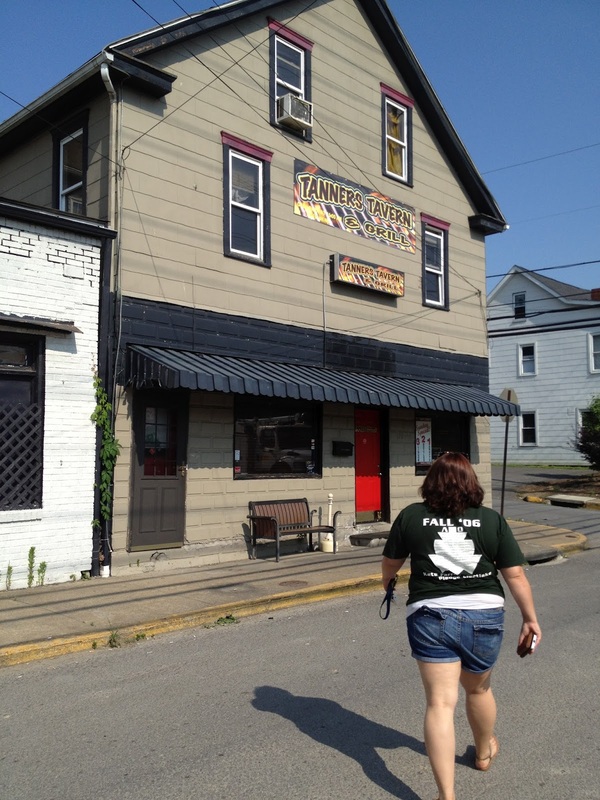 Win a Tanners Tavern T-shirt, don't pay &a a pic on wall of fame. 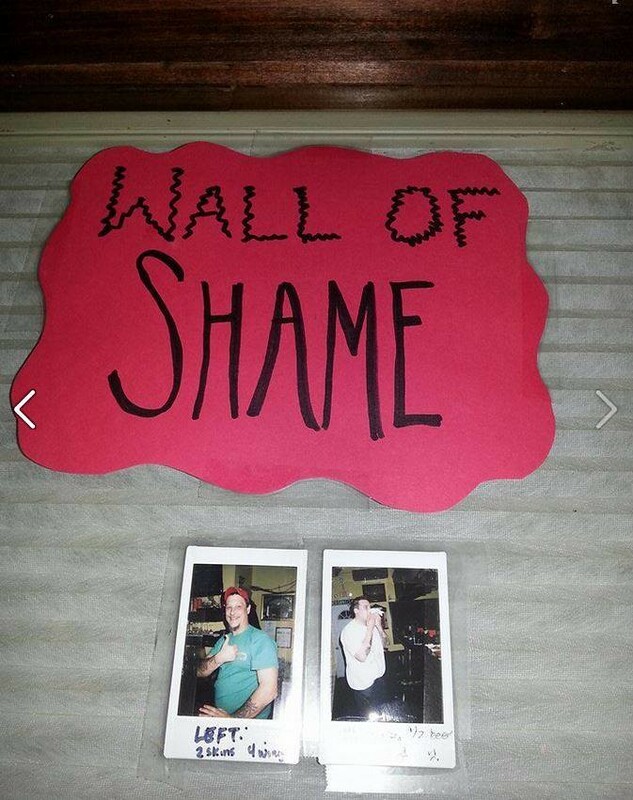 If you lose, your pic on the wall of shame - usually looking pretty miserable. Chico's Fat: A giant burrito filled with rice, beans, veggies and choice of meat, covered in sauces and toppings, weighs in at 6.5 lbs. It must be eaten in 59 minutes or less. Ali Baba Restaurant: The Ali Baba & The 40 Thieves Sandwich Challenge contains one giant sandwich with several Greek meats and sauces loaded with lettuce and vegetables. The 4 lb. sandwich must be finished in one sitting. What other challenges are available in town? After my first Bridge Day and visit to Babcock State Park with Mary Kay, we were searching around for a place to have lunch. We were on the north side of the bridge, so it would be tough for us to get to any Fayetteville restaurants. Which is a bummer because there are a lot of good ones there. Summersville it was. 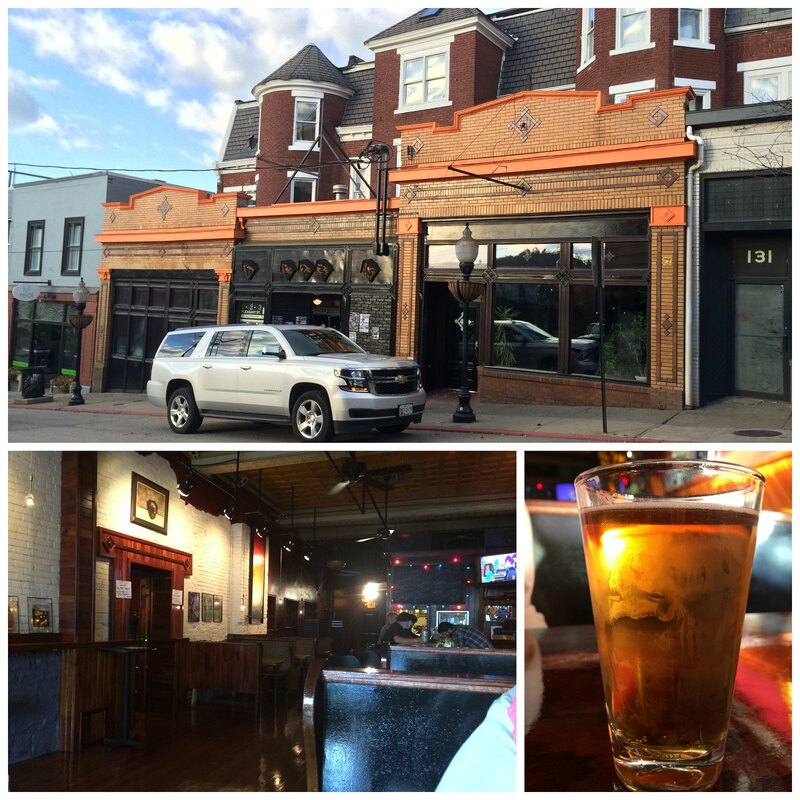 Maloney's Sports Pub & Grill had some good reviews, so we made our way there. There just happened to be a WVU game on, so it was quite ... active inside. The waitress handed us some menus and helped us out a bit. Appetizer - fried ravioli. 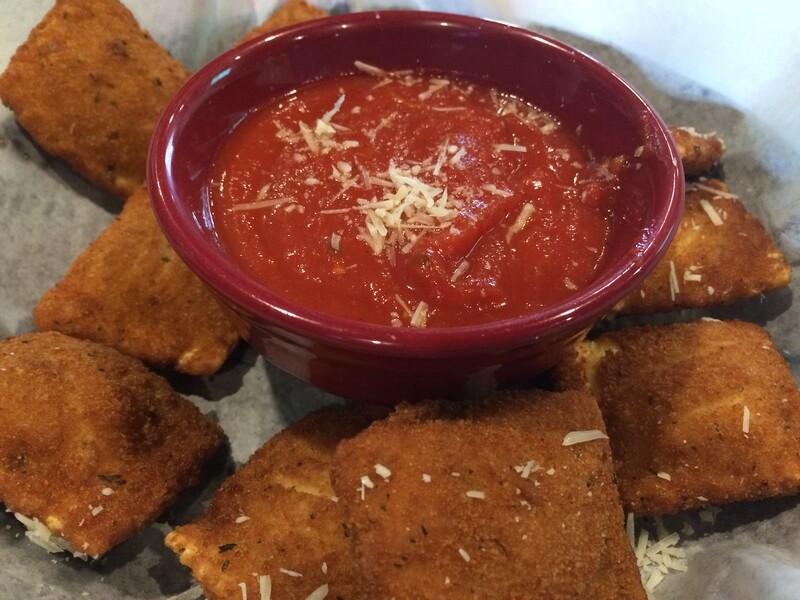 Crunchy, deep-fried with marinara. Not culinarily high-brow, but tasty. Entree - bacon and blue burger. My burger came with bacon, blue cheese, lettuce, tomato, onion. The patty was cooked well and thin in the middle with upturned edges. But when it's piled with blue cheese, tomato, lettuce and onion, all I can taste is deliciousness. Fries weren't bad. Overall, sports bar-esque food, but good. 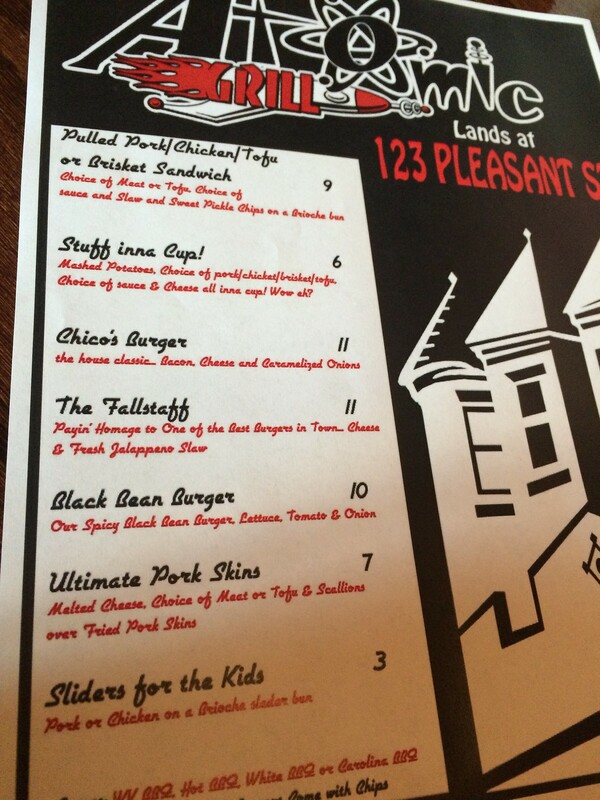 I know 123 Pleasant St. has tried food a few times. And they've done small bluegrass brunches and things of that sort. 123 is the best place in town for local music, but for some reason, food just hasn't quite worked. 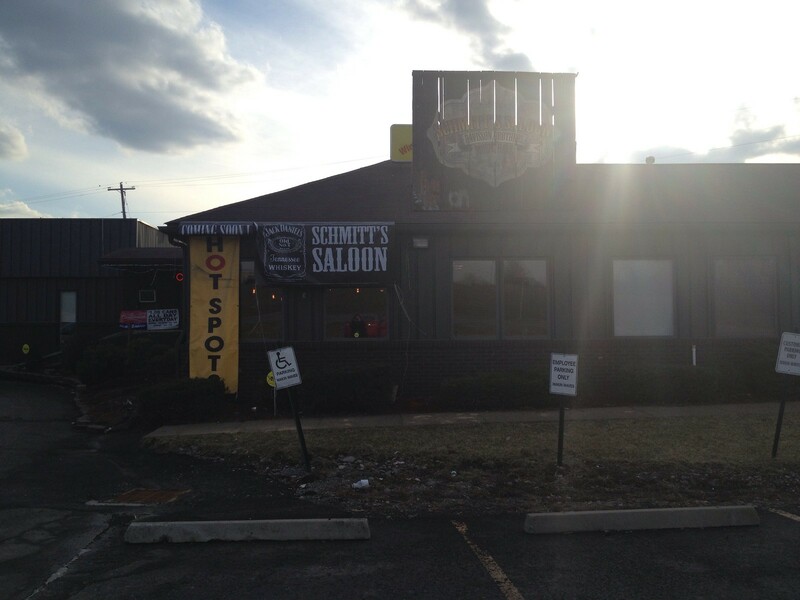 I'm hoping the addition of Atomic Grill's satellite location will buck that trend. 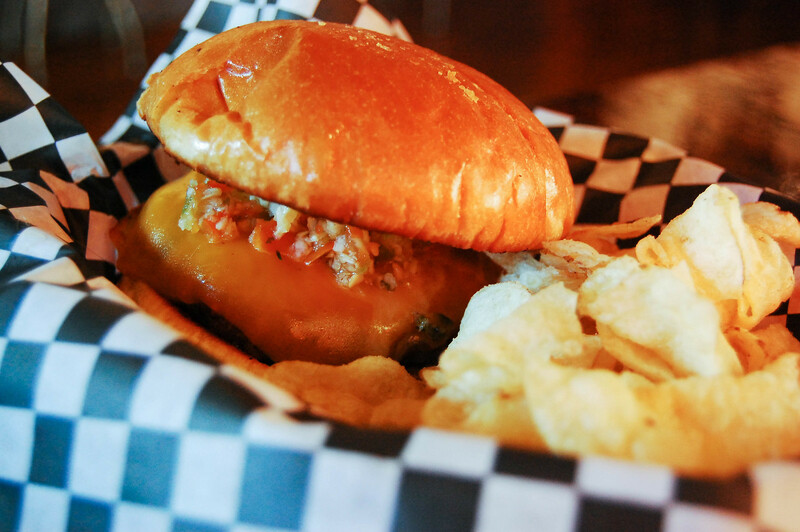 Atomic Grill has opened up a small satellite kitchen in 123, serving up pulled pork/chicken/tofu or brisket sandwiches, "stuff inna cup!," Chico's Burger, The Fallstaff, Black Bean Burger, Ultimate Pork Skins, and sliders for the kids. It's a fraction of their full menu, but you can see the vegetarian-friendly options in an otherwise typically carnivorous menu. 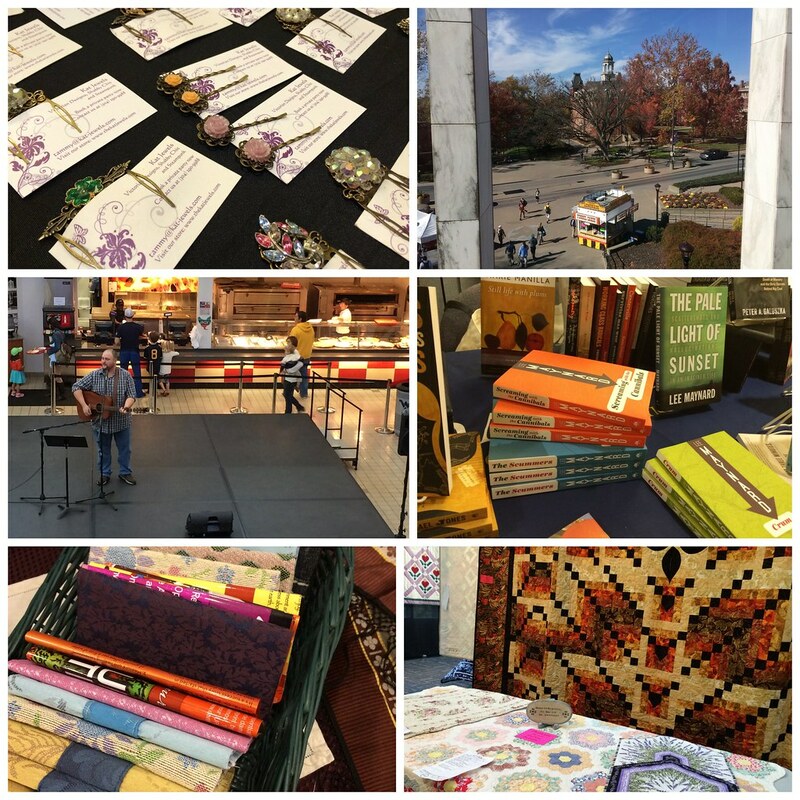 Currently, they're open Wednesday through Saturday from 5 p.m. until late. We entered through the main doors and went to the right upper bar. 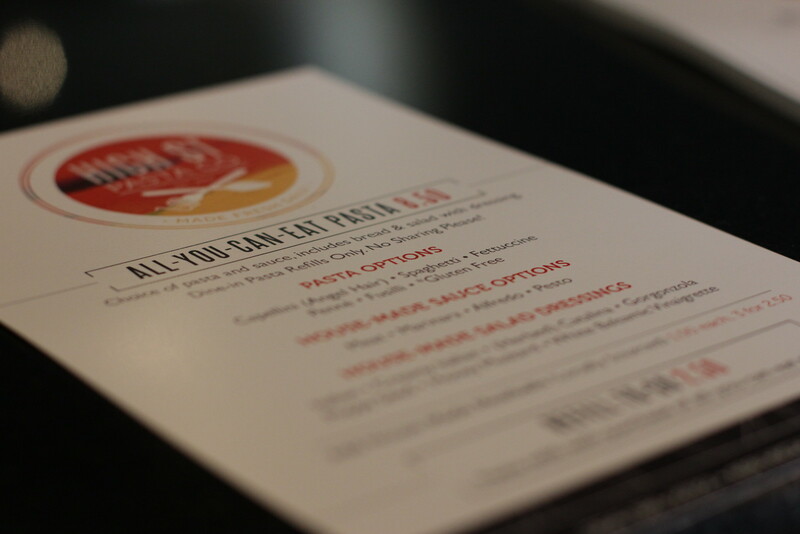 Menus were scattered about on the tables. You place your order at the bar. I went for The Fallstaff burger, which says it is "payin' homage to one of the best burgers in town... cheese and fresh jalapeno slaw." I THINK this is referencing an older restaurant that used to be in town (before my time). But it was different enough to catch my eye. Afton got the Chico's Burger, and we split an order of the Ultimate Pork Skins, which have melted cheese, choice of meat or tofu and scallions over fried pork skins. When the order was ready, I picked it up at the window to the kitchen in the back and brought it back to my seat. The pork skins are pork rinds. I was thinking they would be like potato skins or something for some reason. I guess it's the word skins. It's a lot. 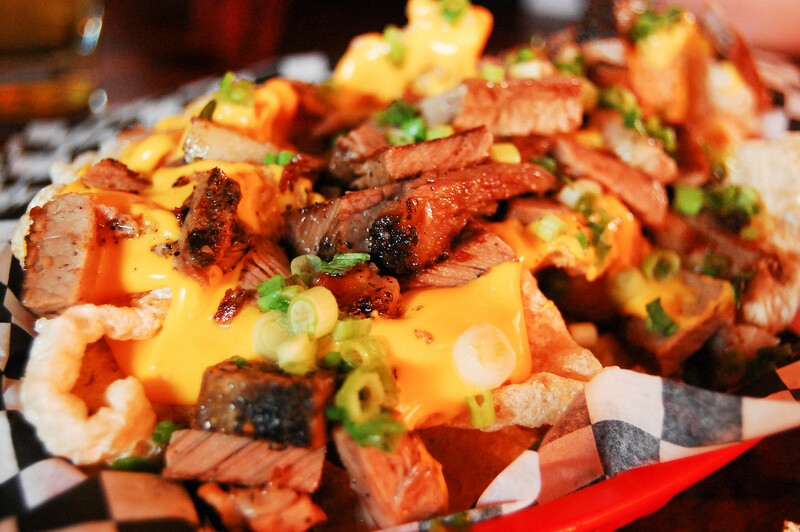 Nacho cheese and pork rinds - maybe pulled pork would've been better. I'm not sure. But overall, it was just a bit too salty for me. But that's me. My burger, however, was so good. I am typically a burger - tons of onion - lettuce - tomato - ketchup - mustard - mayo - all of the cheese person. 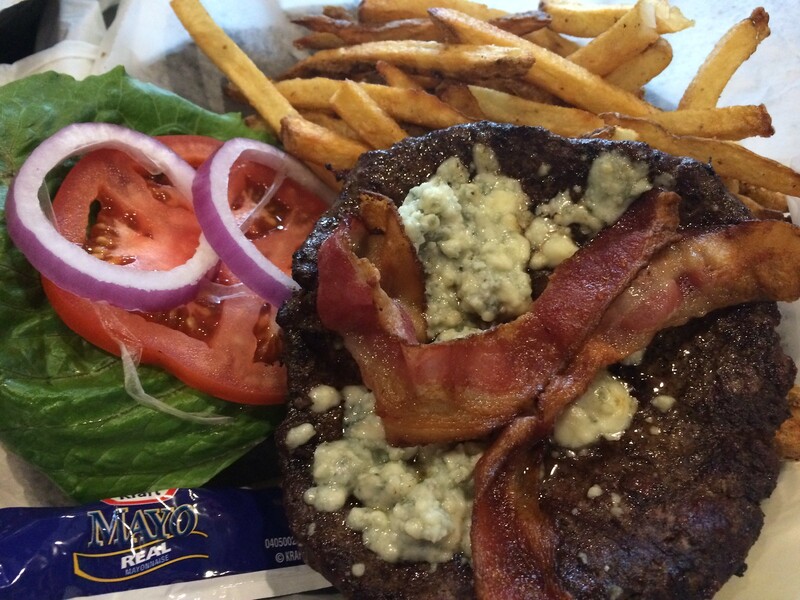 And I frickin' love blue cheese on a burger. Anyway, this one was just cheese and jalapeno slaw. But it was delicious. It doesn't need a ton of bells and whistles. Simple, sweet and spicy. Totally dig it. I will be back just to order this. I liked the sweet heat of the slaw with the thick slice of cheddar. Awesome flavor. Bun perfectly toasted. I was surprised they didn't ask me how I wanted my burger done - so I'm wondering if they're not made to order? I don't know. It seemed like it was prepared fresh to me. And it was delicious. NO, I'm not going to review Bojangles or Popeyes. I don't review chain restaurants unless it's like the only one in West Virginia. Also, I wouldn't be able to do nearly as good of a job as Marilyn Hagerty. BUT, this is the first time I've ever had either. So, there's that. 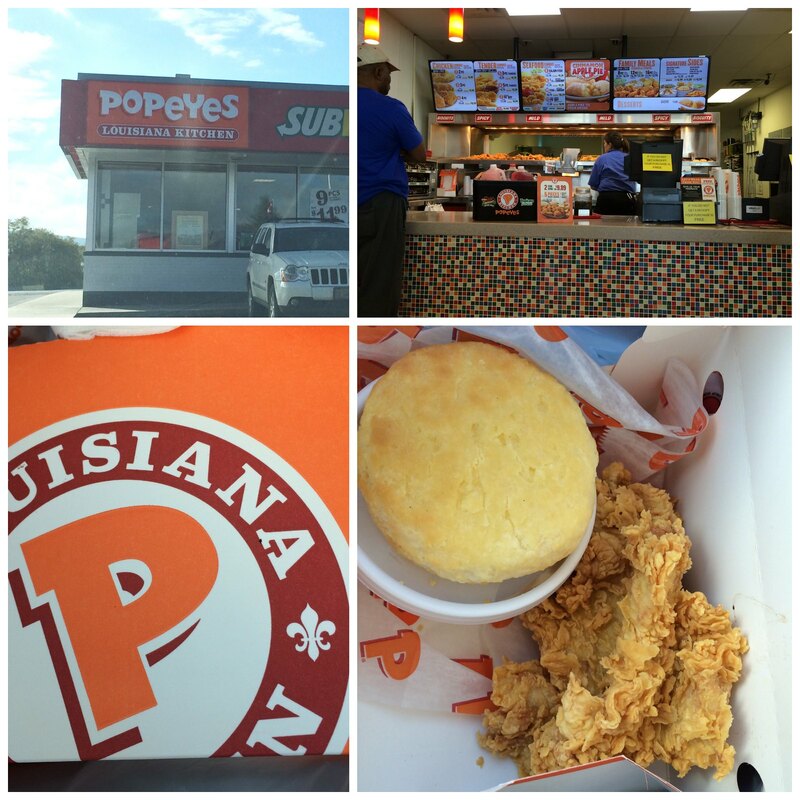 (I actually had Bojangles twice) (Bojangles was close to my hotel, and Popeyes was on the way home). 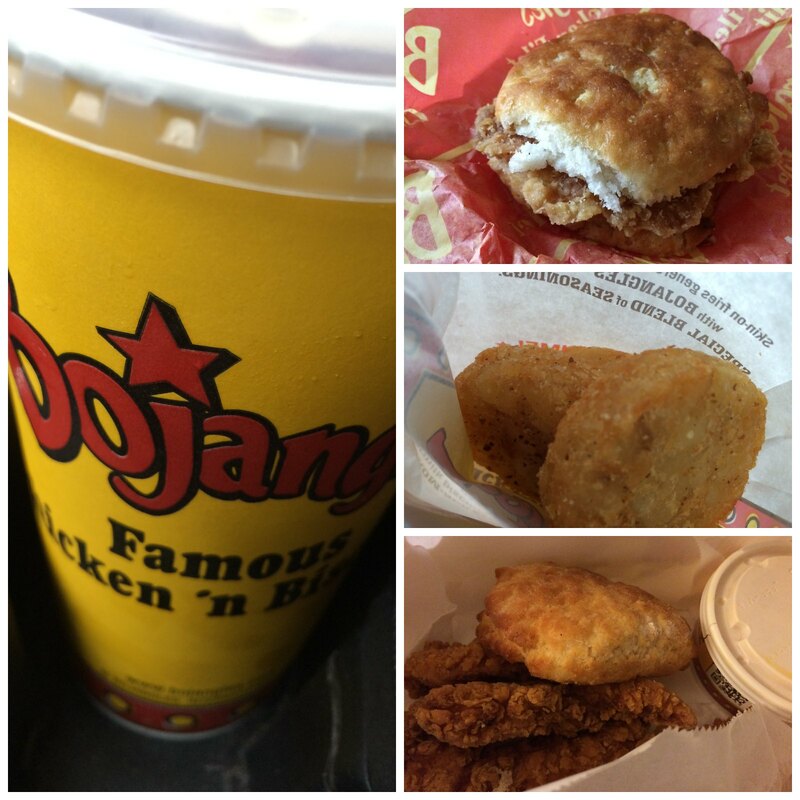 I think I'm a fan of Bojangles - for what it is, of course. 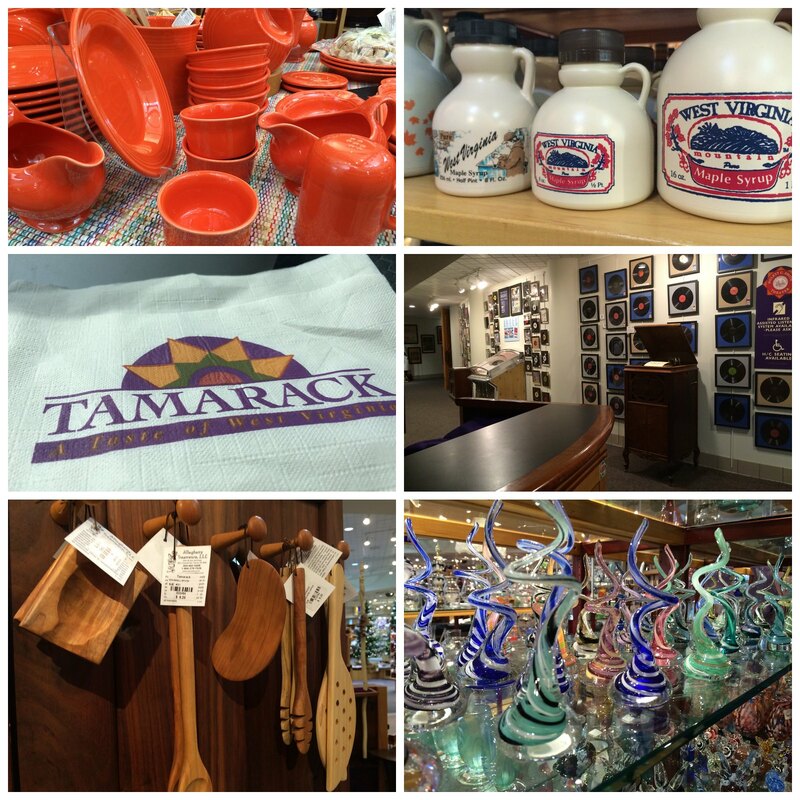 I LOVE Tamarack. LOVE it. 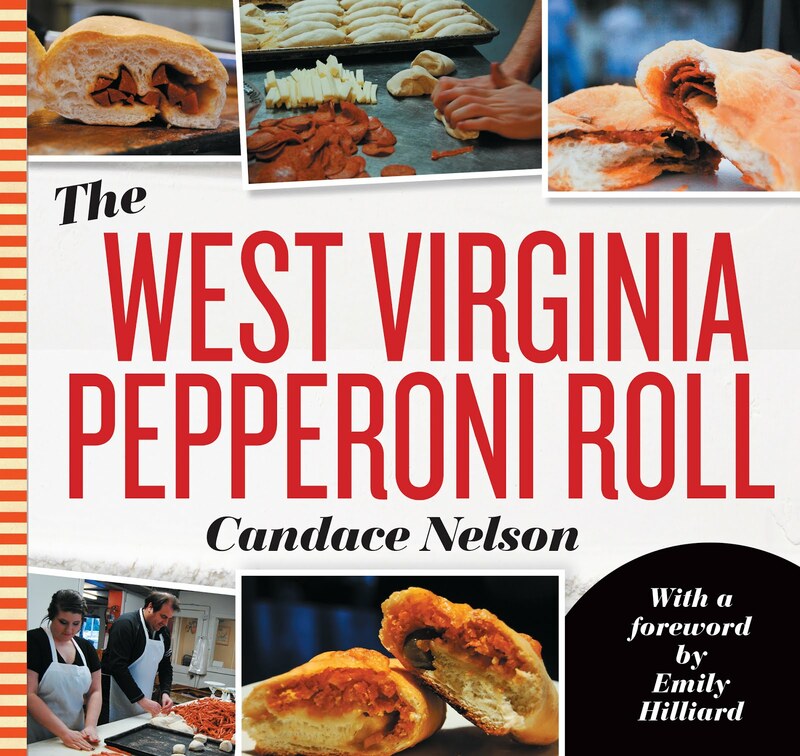 It embodies the arts and culture that is West Virginia. 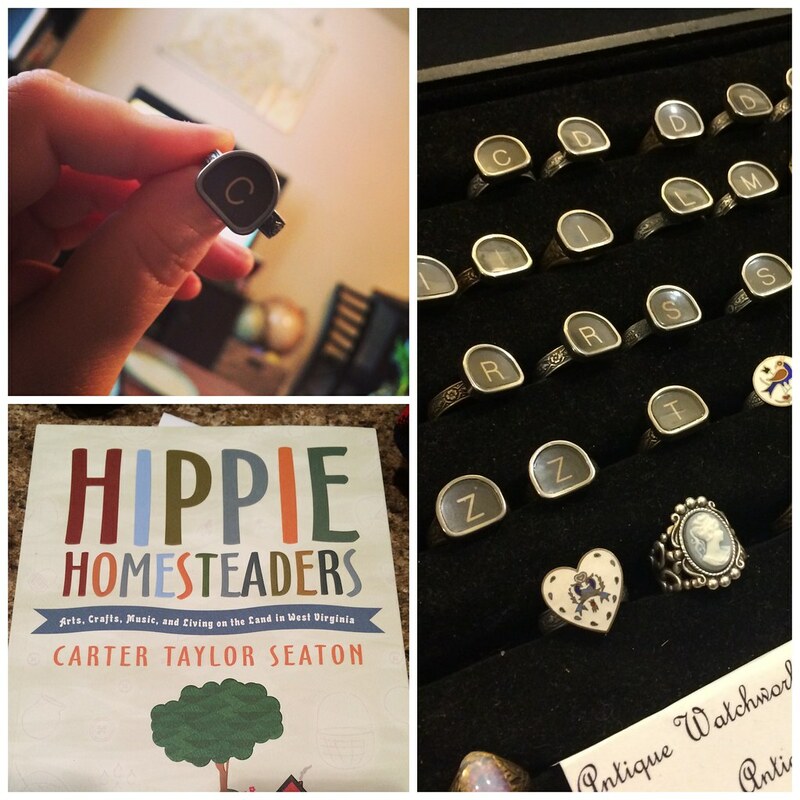 There are bits and pieces from artists all around the state in this one spot. And it's awesome. 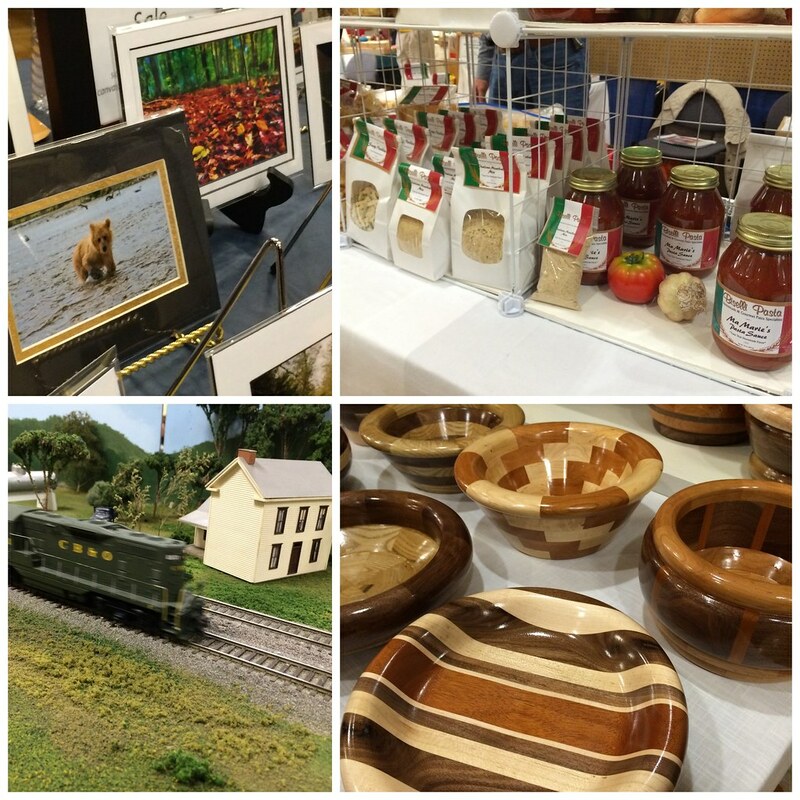 You can get pieces of art, Fiestaware, jams and jellies, glasswork, clothing and more -- all created by West Virginians. 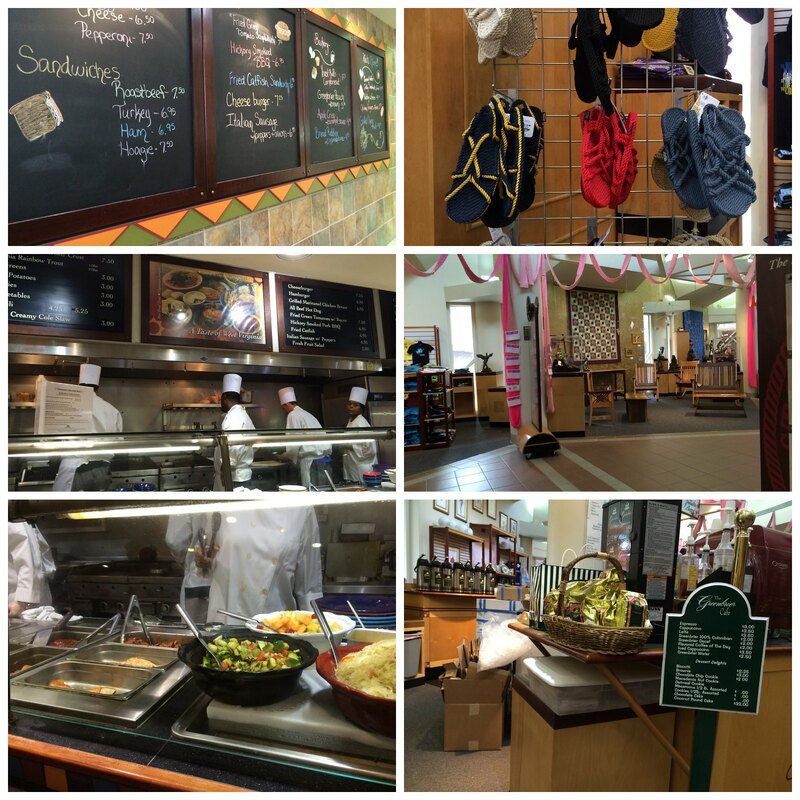 They have a cafeteria, which is managed by The Greenbrier, where they serve up tuna melts, chicken pot pies, rainbow trout, and fried green tomato sandwiches. I got a fried green tomato sandwich to go. It was placed in a plastic container, which kind of steamed it by the time I got to it. It was OK. Good for cafeteria food, I suppose. But a little mushy by the time I got to it. My fault. It was pretty heavy. 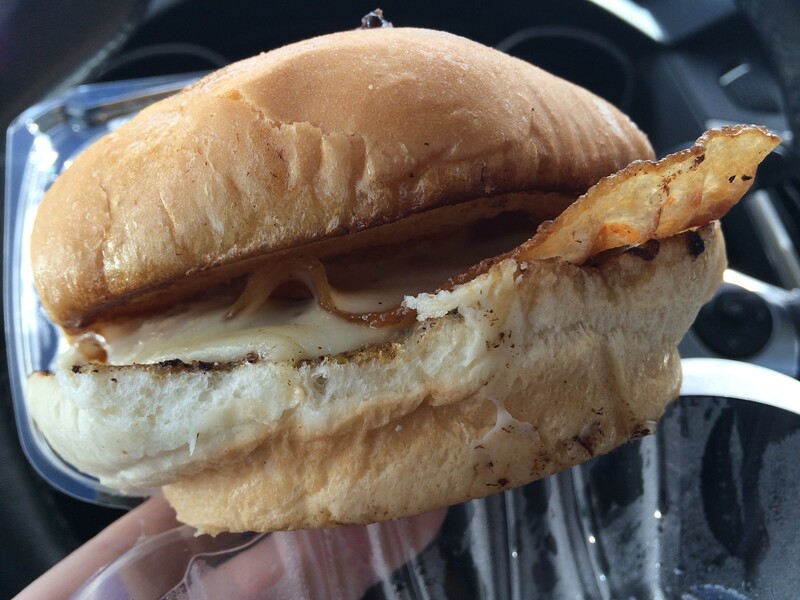 Between cheese bacon and fried tomato. Something fresh - maybe onion? Something. I think would make this a little less dense. 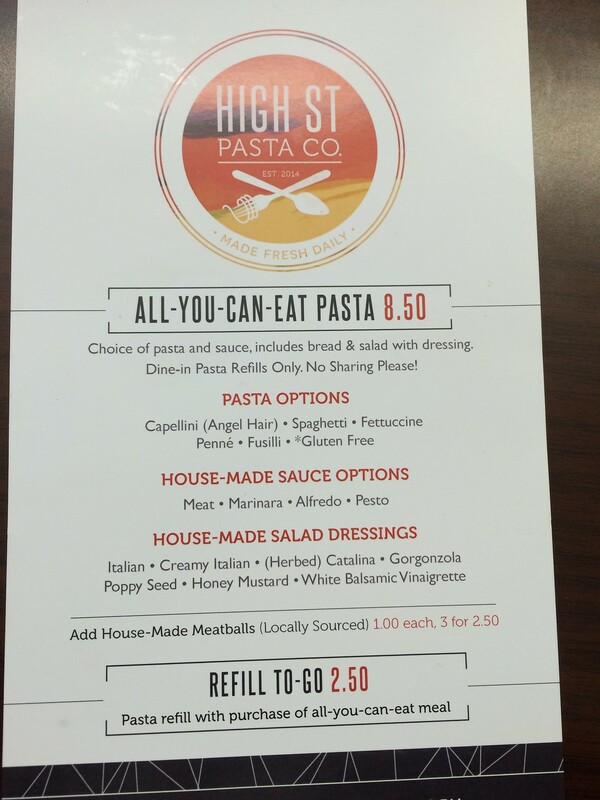 Morgantown Edition: High St Pasta Co. 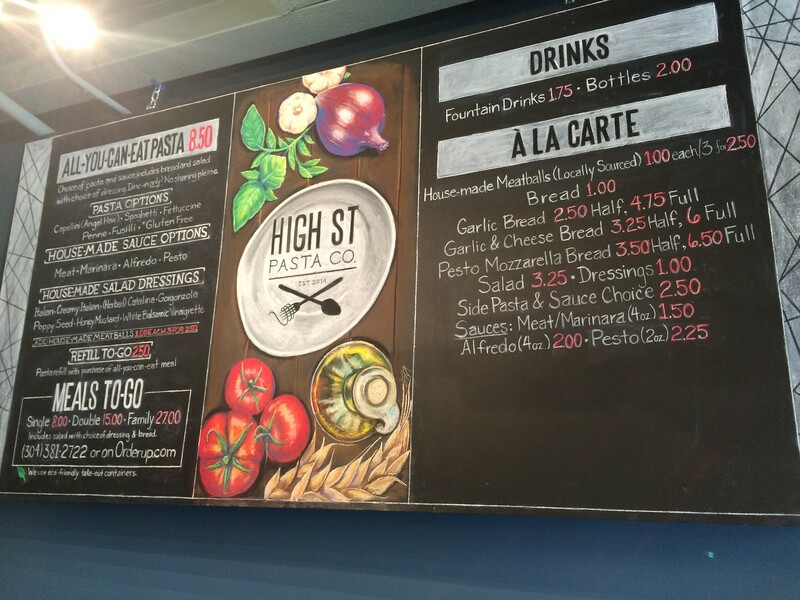 The High St Pasta Co. came out of nowhere. I heard about a sister pasta shop opening by Chico's Fat, but I had no idea it was so far in production and ready to be open to the public. Sher, photographer extraordinaire, happened to see they were open the other day and clued me in. Today, a group of coworkers and I went for lunch. The space is beautiful. 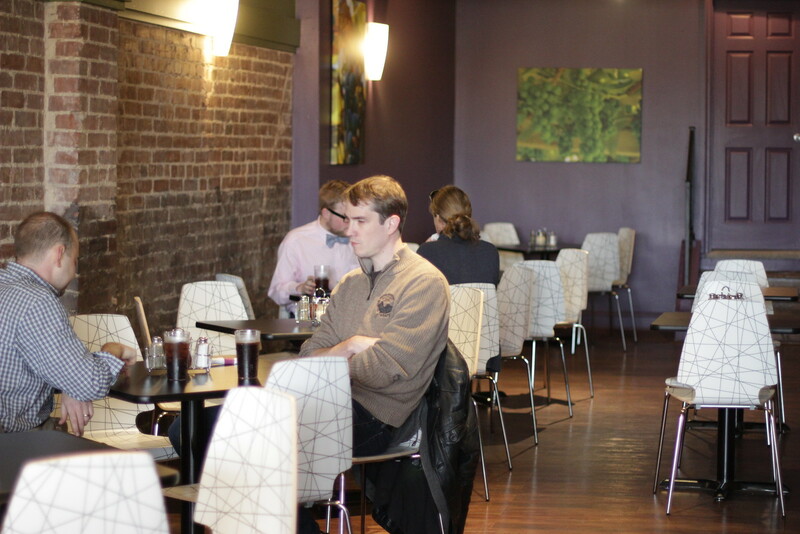 Exposed brick, purple-gray wall color and some sleek black and white chairs fill the inside. The point-of-sale system is via an iPad-like thing. Just slick and cool. The food is for more of a quick lunch. They have all you can eat pasta for $8.50. 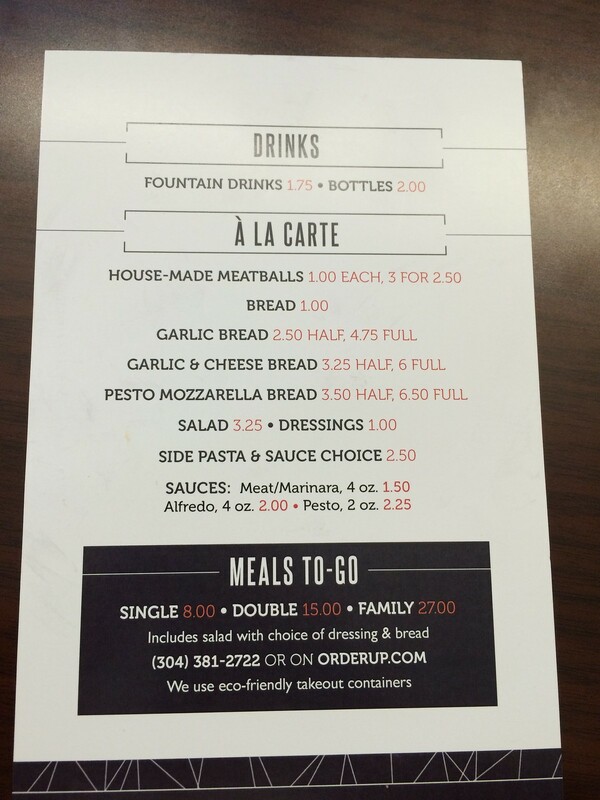 Or you can get pasta to go for $8. OR you can get an all you can eat for $8.50 AND get another box to go for an extra $2ish. 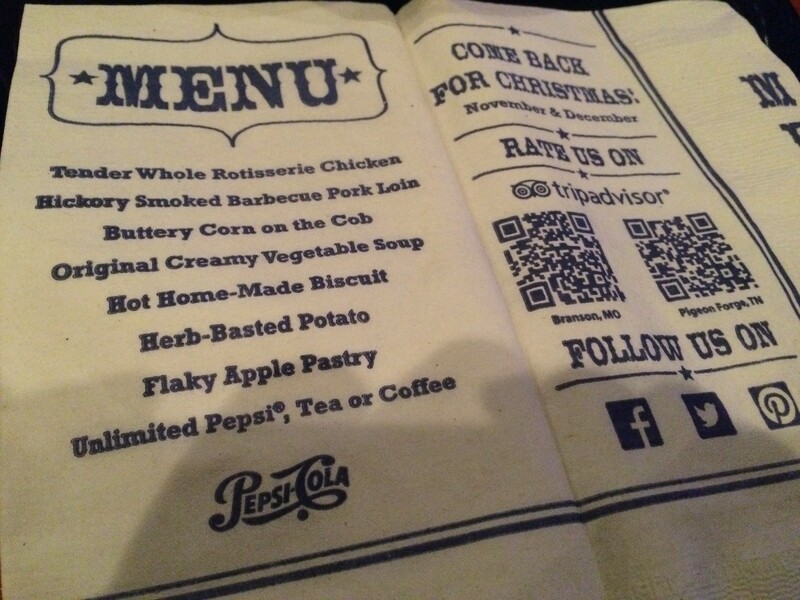 The menu is quite small with a simple concept. You pick your type of noodle: angel hair, spaghetti, fettuccine, penne, fusilli or gluten free. 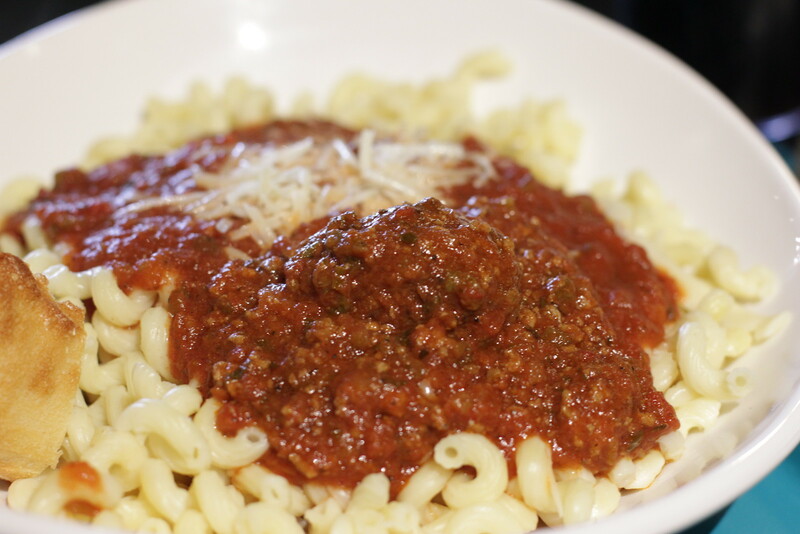 You pick your sauce: meat, marinara, alfredo, or pesto. Pick your salad dressing for your side salad: Italian, creamy Italian, catalina, gorgonzola, poppy seed, honey mustard, or white balsamic vinaigrette. Plus you can add a meatball (or 3), cheese bread and a few others. I ordered fusilli, with marinara, with a meatball, with gorgonzola dressing for my salad and a drink. It comes with a small piece of bread. In small talk, the guy at the register said they do make their pasta, and they make it in Chico's kitchen. The two are owned by the same person. Salad was fine. 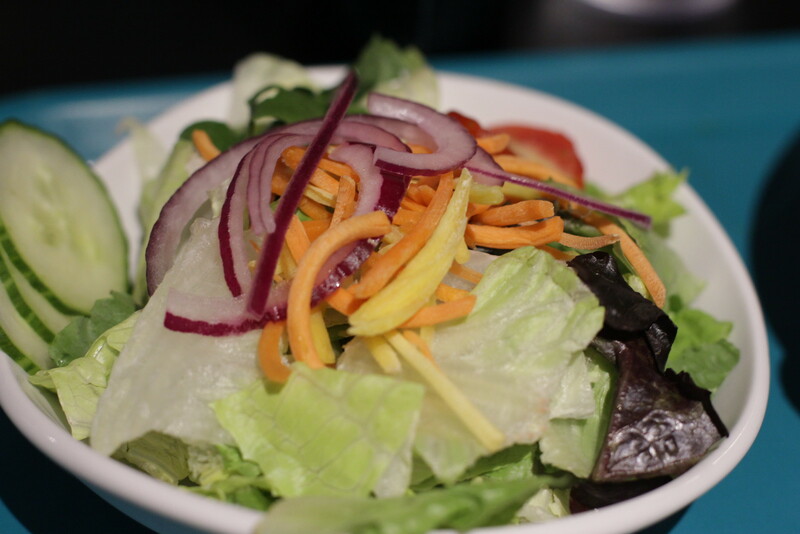 Fresh lettuce and bits of onion, tomato and carrot. Gorgonzola dressing was also tasty with some chunks of gorgonzola. Mm. I wish I had a chance to eat more of it, but work called and I had to leave early-ish. My pasta was good. It was a little overcooked; usually, pasta is a little al dente. This was pretty soft. But that doesn't offend me. The sauce had a good flavor. Just a little spice there that gave it something extra. The meatball I think needs a little work. A little kick of spice but not necessarily in the best way. But, still, overall a decent dish. It's like a fast food Italian place. Quick, easy, limited options. I think it fills a certain void in downtown Morgantown, so I'm happy with it. It does what it's supposed to do. I do, however, wish they had something signature or creative. Maybe a special sauce? A specific appetizer? Something so it doesn't feel super run-of-the-mill. 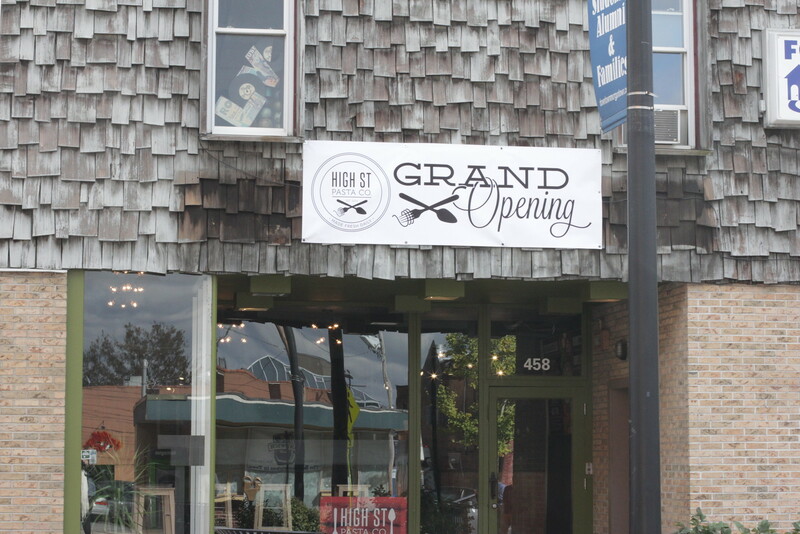 But overall, a decent value and nice to have a pasta option downtown. And their creative design/concept is on point. Just translate that a little to a food item or two, and I'd be happy. 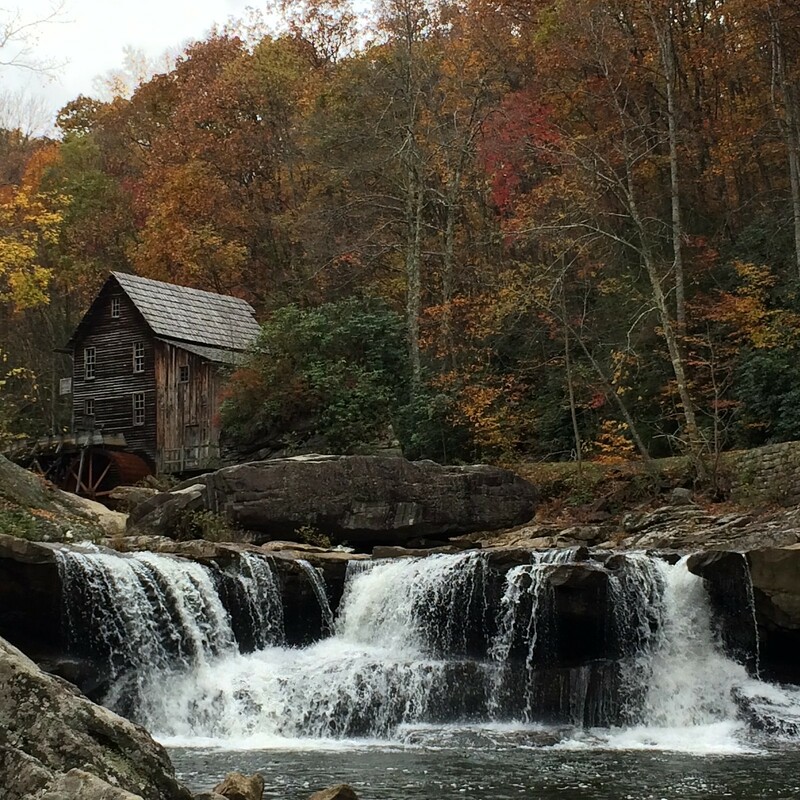 I recently went to Tennessee (Pigeon Forge, specifically) to visit my parents while on vacation. 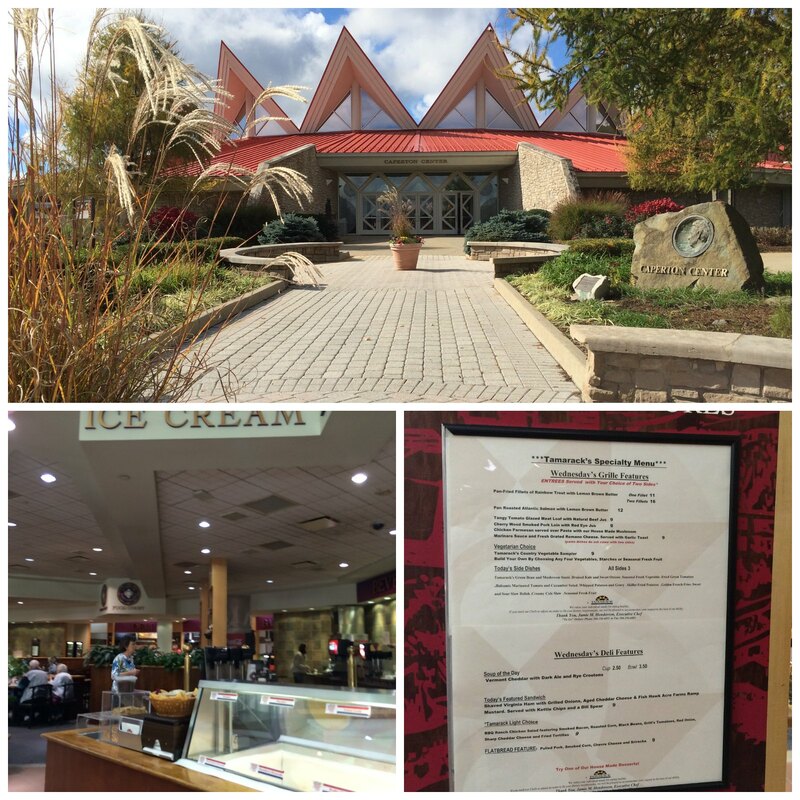 Pigeon Forge is a very tourist-heavy town, so it was tough to scope out restaurants that got to the real culture of the town instead of tourist traps. But we tried. 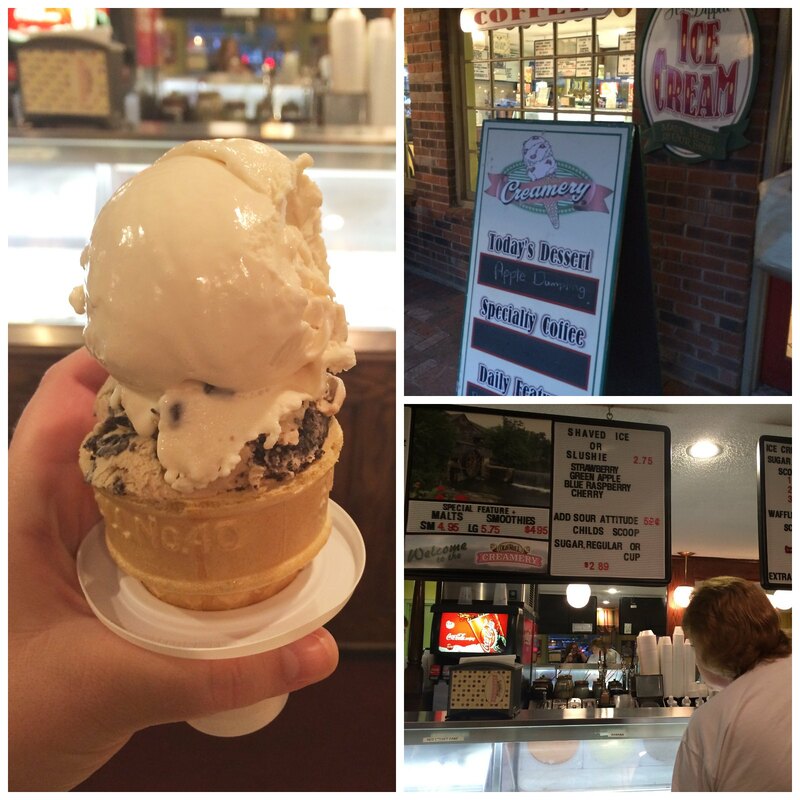 The Old Mill Creamery - We went here mostly because we had a long wait for our dinner. But there were a dozen or so options in the form of bowls, cones or shakes. I got a two-scoop cone with a peanut butter moose tracks sort of ice cream and another that I can't remember. But overall, pretty tasty! The Old Mill Restaurant - This is where we chose for dinner my first night there. While our wait was incredibly long, once we finally got in, service was quick. A house salad and some corn fritters were rushed to our table. I ordered the meatloaf, with a side of macaroni and cheese, mashed potatoes (which were served family style) and a pecan pie. The price was about $20 all inclusive. It comes in a nice set. And it was also pretty tasty. The meatloaf was ground pretty fine, so it was crumbly. But the top had a nice tomato flavor. The corn fritters, mashed potatoes and macaroni and cheese were all good. Average-ish. The pecan pie was good. Overall, a decent meal. Love comfort food, but the wait was so incredibly long. And nothing was totally mind-blowing. 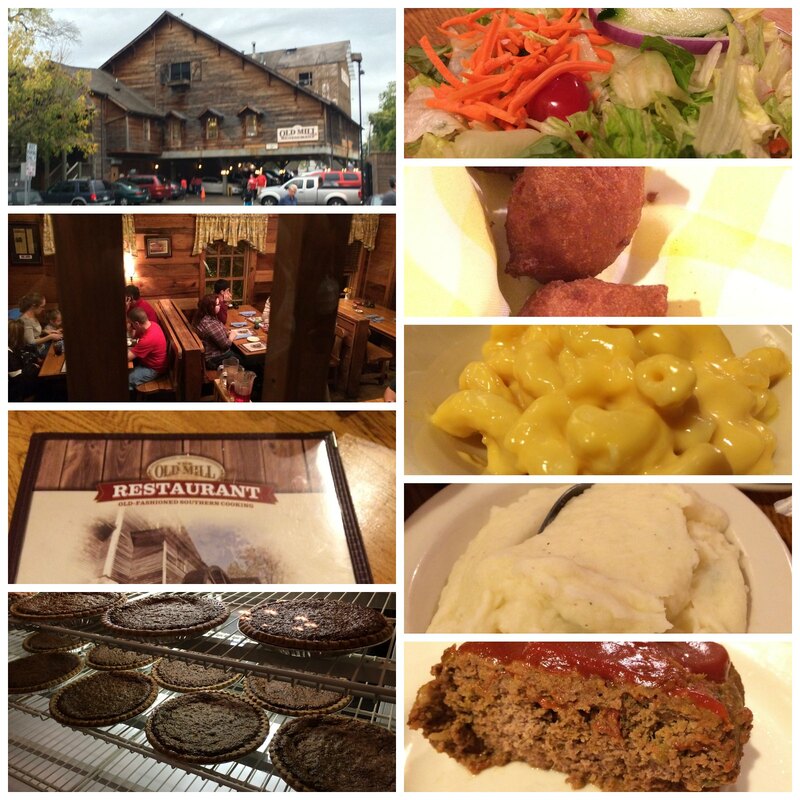 Alamo Steakhouse - This is one I wanted to go to because I heard really good reviews. In an act of luck, we ended up going for lunch, so it's a good bit cheaper. 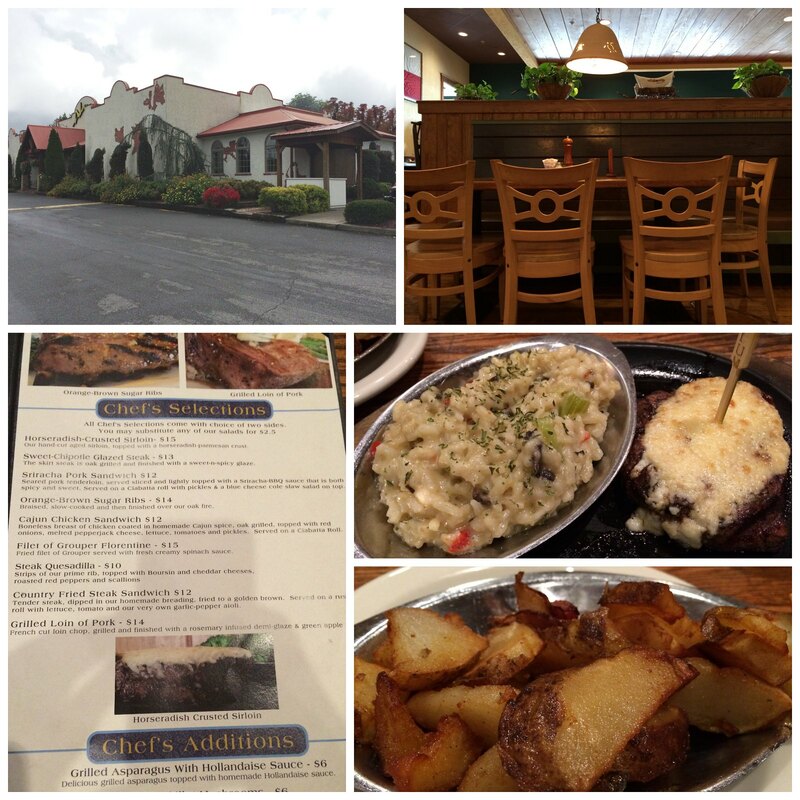 I ordered the horseradish-crusted sirloin with a side of mushroom risotto and their potatoes. I ordered it medium, and it was definitely overcooked. I saw no pink. BUT flavor was on point. The horseradish-parmesan crust wasn't so much a crust as it was melted cheese with just a tiny tang (don't be scared by the horseradish - not potent). Mushroom risotto was flavorful, and the fried potatoes were average. Overall, though, very good lunch. 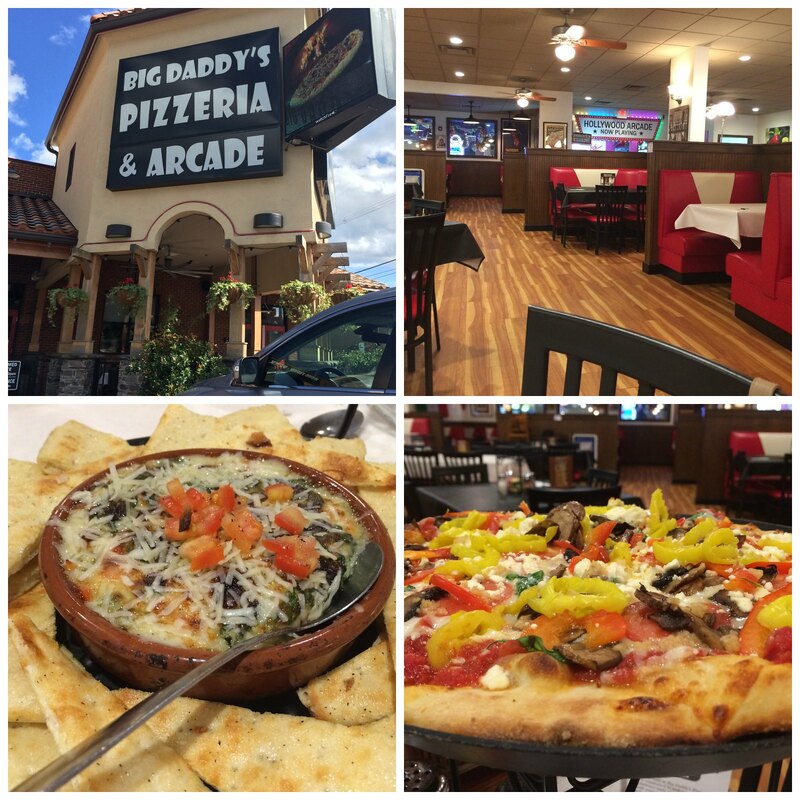 Big Daddy's Pizzeria - My parents are a big fan of this place. It's laidback, and they have an arcade. We ordered a spinach artichoke dip for an appetizer, which was tasty. The pita chips especially were covered in salt and garlic and were perfectly crisp and soft at the same time. We went for a large herbivore pizza, which has marinara, mozzarella-provolone blend, spinach, roma tomatoes, roasted garlic, banana peppers, mushrooms, red peppers and feta cheese. It was tasty. Overall, decent meal, but nothing outstanding. 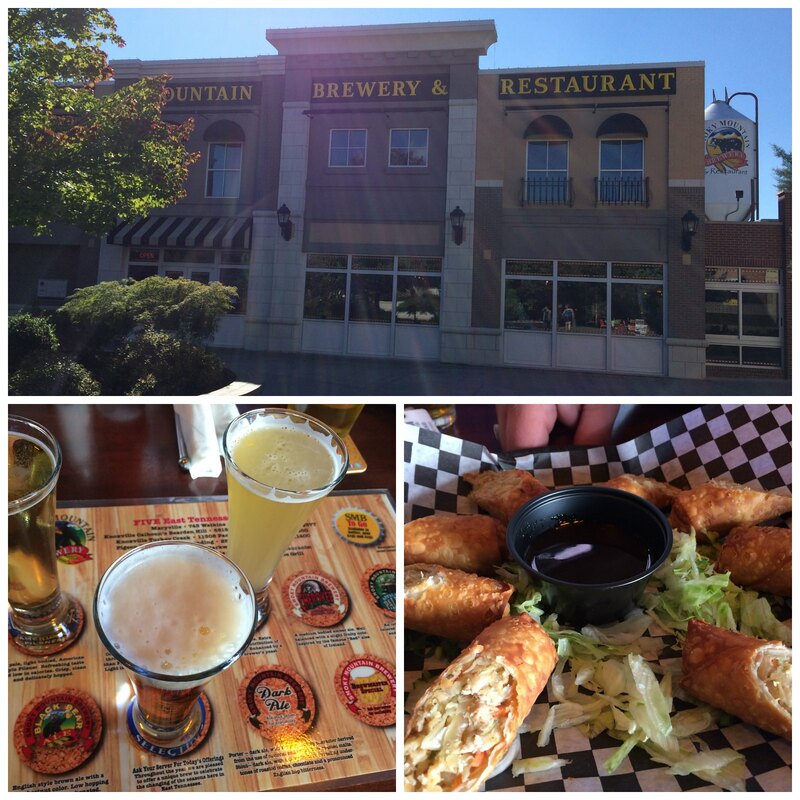 Smoky Mountain Brewery - I was anxious to try some local beer, so we stopped at the Smoky Mountain Brewery for a snack. And beer, duh. We ordered their eggrolls, and I have to say I'm disappointed. They were just bland, and the sauce was overpowering. But I was a fan of their beer. So, maybe something else would be better. 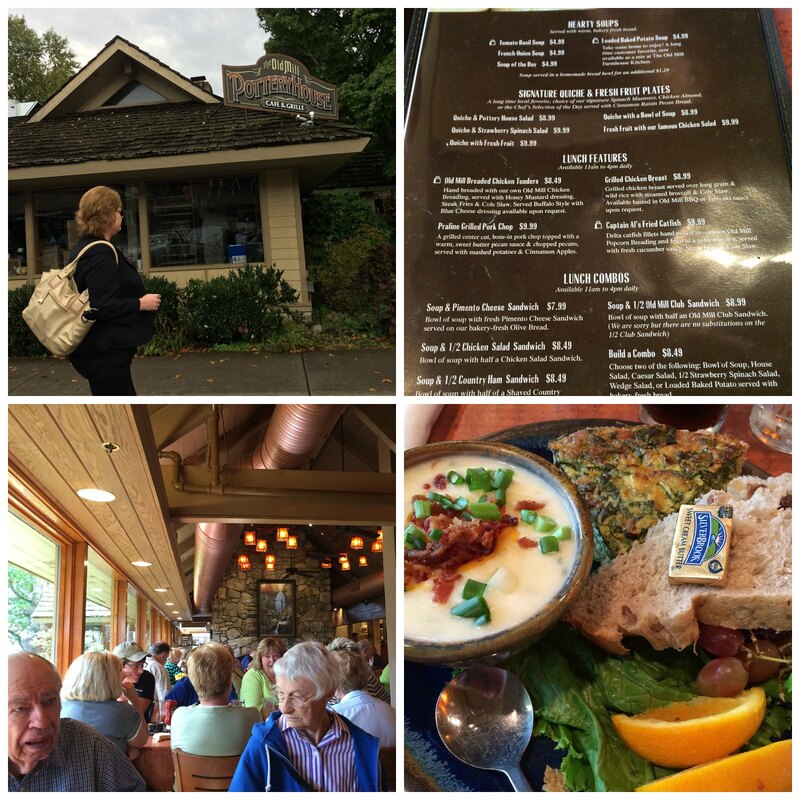 The Old Mill Pottery House Cafe & Grill - My favorite place. Friends of my parents chose this place, and it was a good one. It's like the lunch equivalent of The Old Mil. I had a spinach quiche and their potato soup. Huge portions, served with fresh fruit and a piece of cinnamon raisin bread. Healthy, fresh and filling. 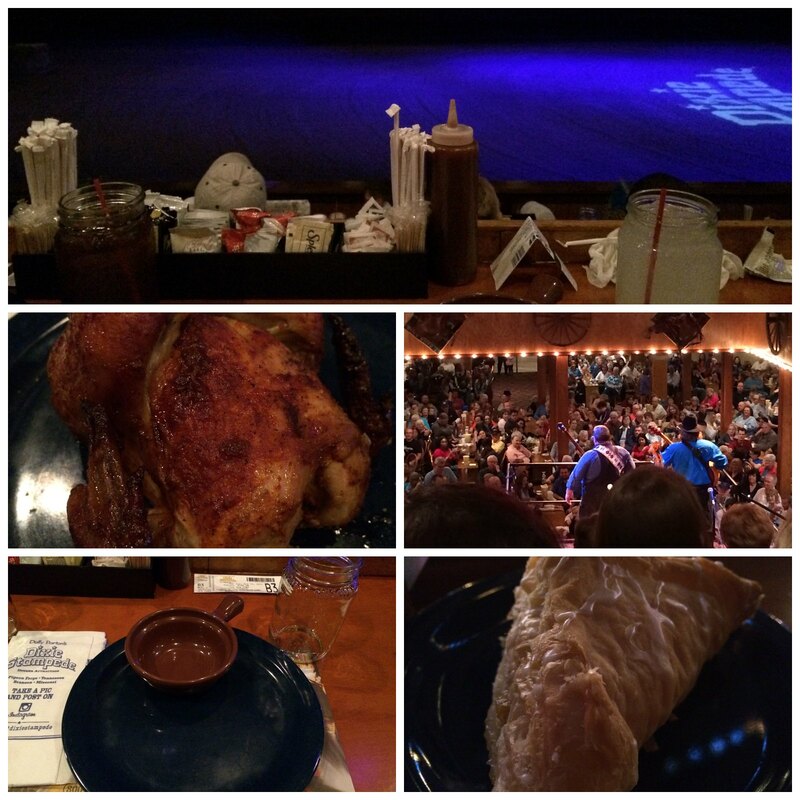 Dixie Stampede - I don't have better pictures of this because we weren't allowed to take any. But this is the first time I did a dinner/show combo thing. It was pretty exciting. There's a constant horse show (and a really heavy focus on north vs. south - I thought we were over that). And it's quick! They bend our tickets depending on what kind of drink we want. I went with lemonade. Then in rounds they bring a creamy vegetable soup, a biscuit, an entire rotisserie chicken, pork loin, corn on the cop, a potato and a final pastry. I couldn't even finish the pastry, I was so stuffed. But it was awesome. So, those are all the main restaurants we visited. 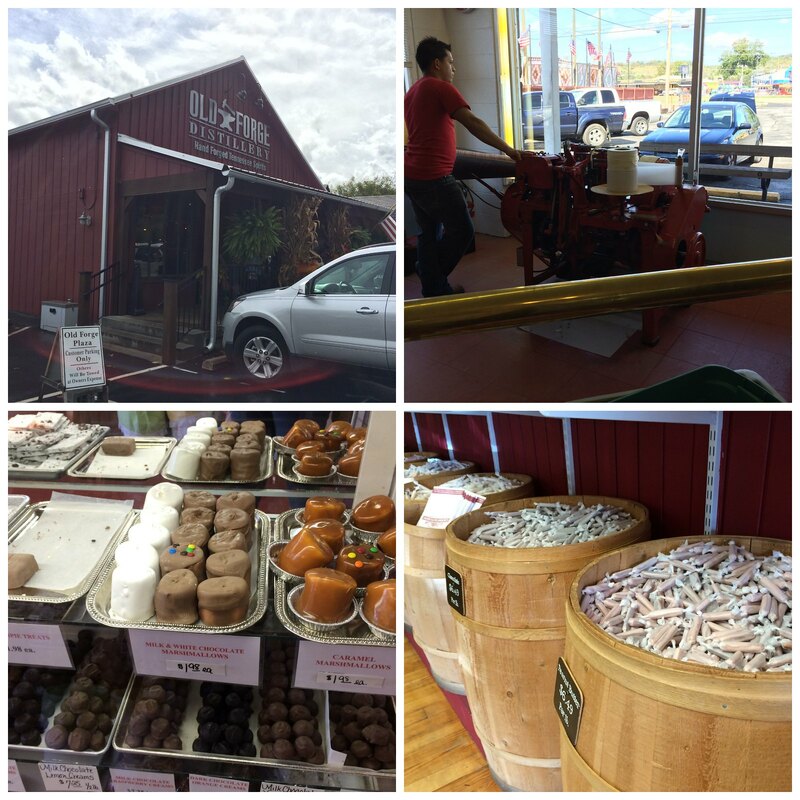 BUT we also went to some other cool places, like the Smoky Mountain Opry, the Old Forge Distillery (where I bought chocolate moonshine) and two different candy shops: The Old Mill Candy Kitchen and the Smoky Mountain Candy Makers. Lots of taffy was had. And is still being had.